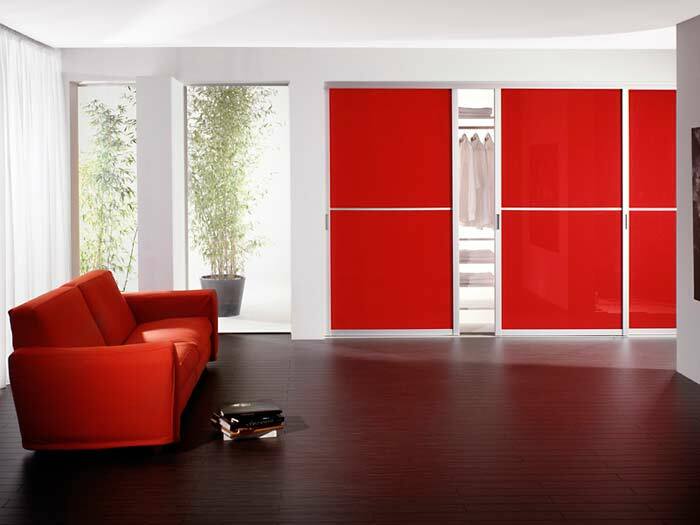 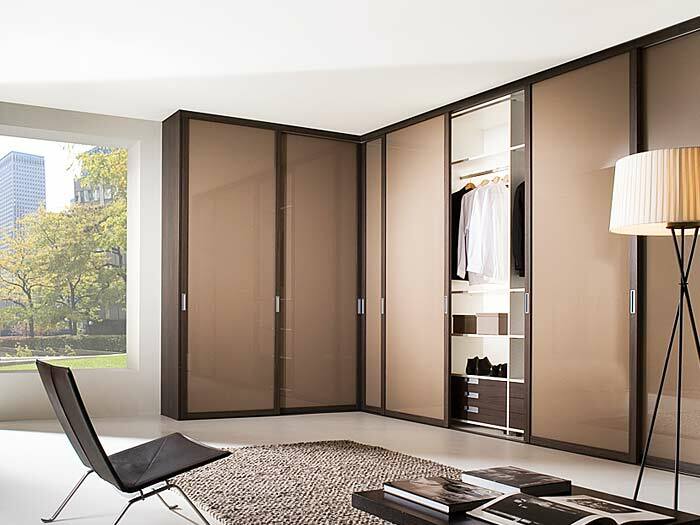 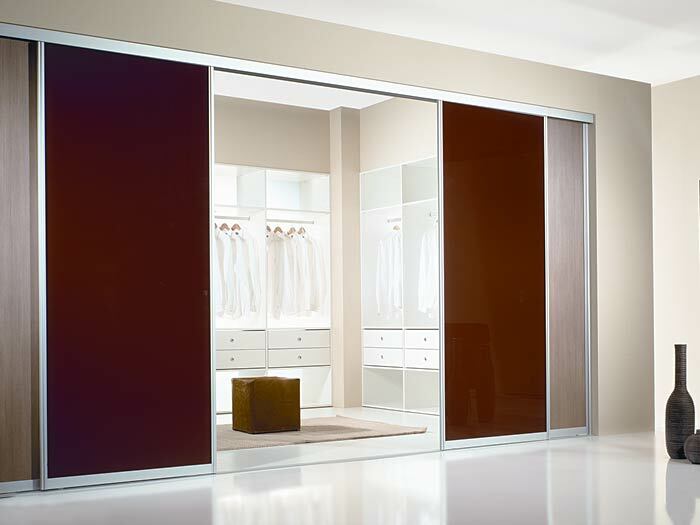 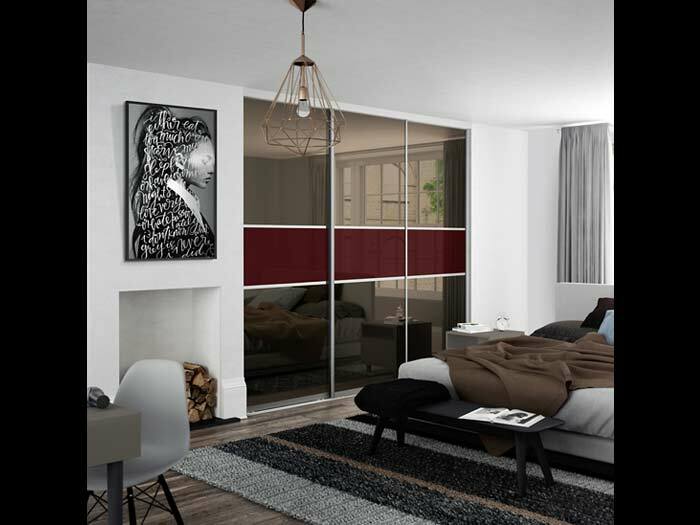 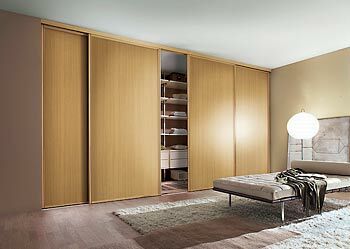 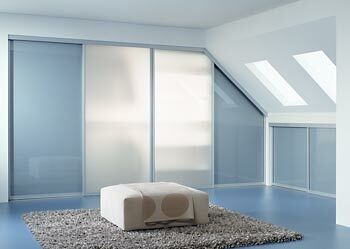 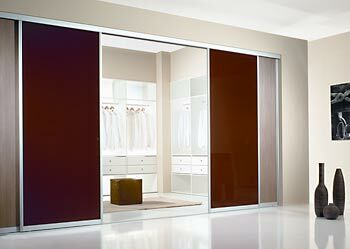 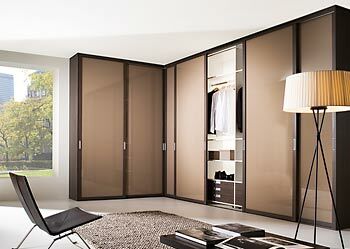 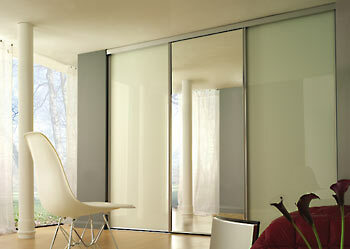 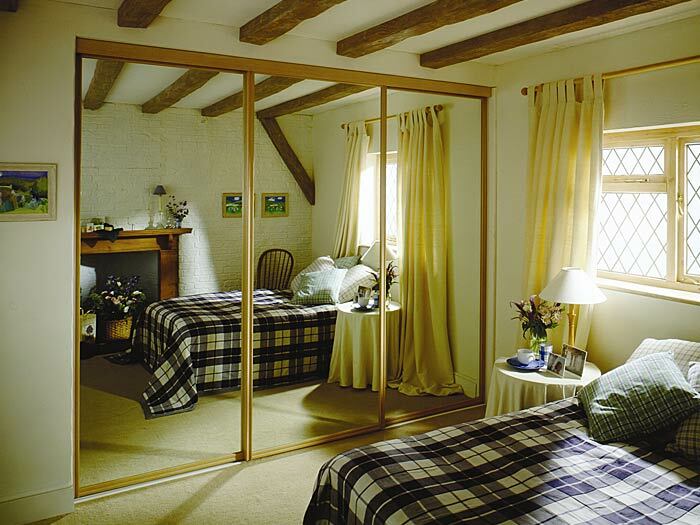 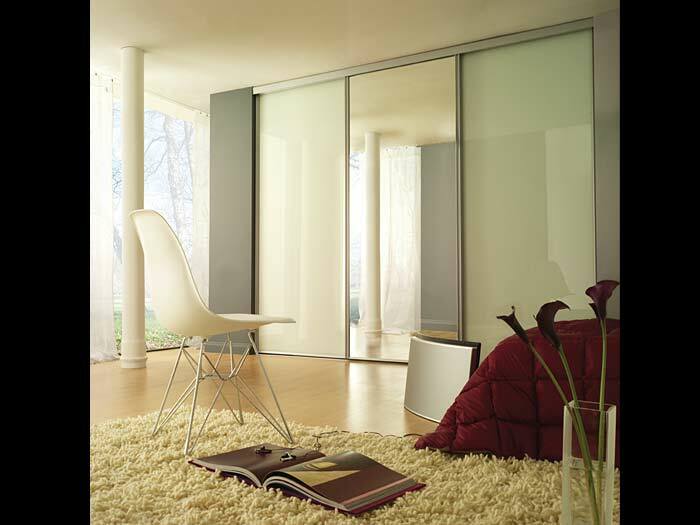 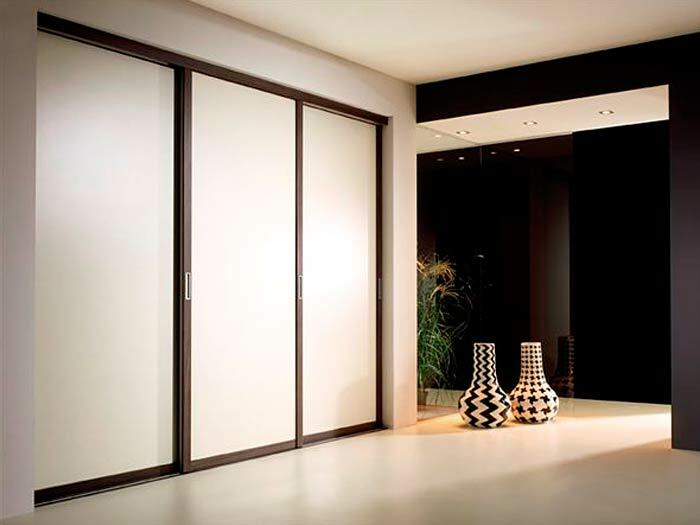 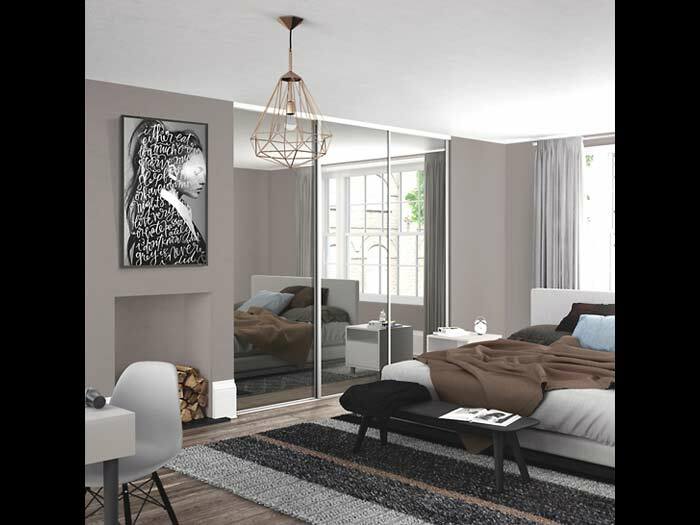 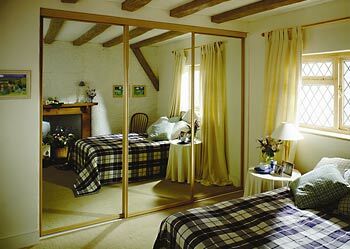 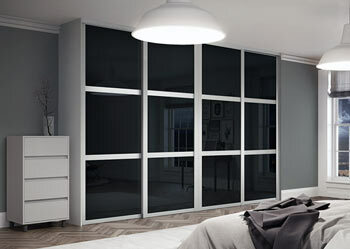 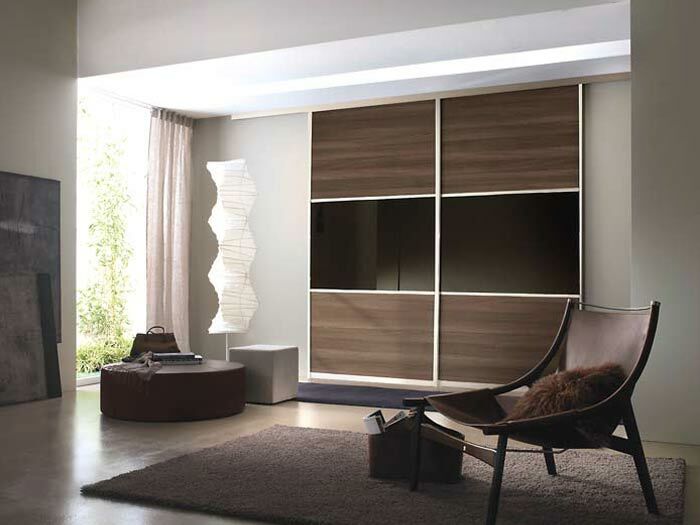 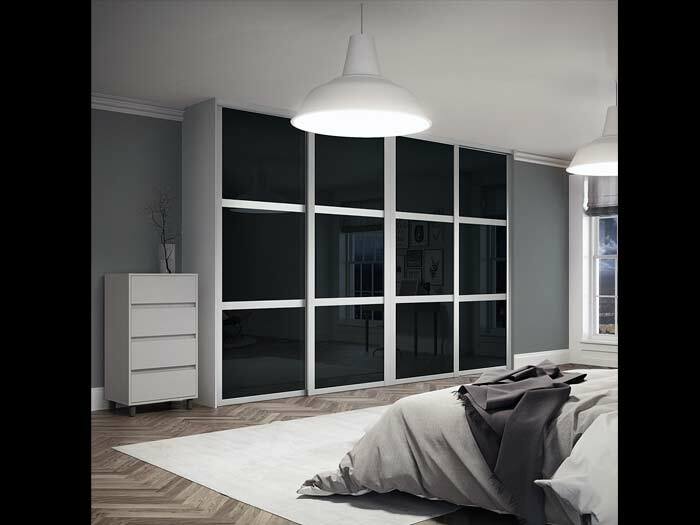 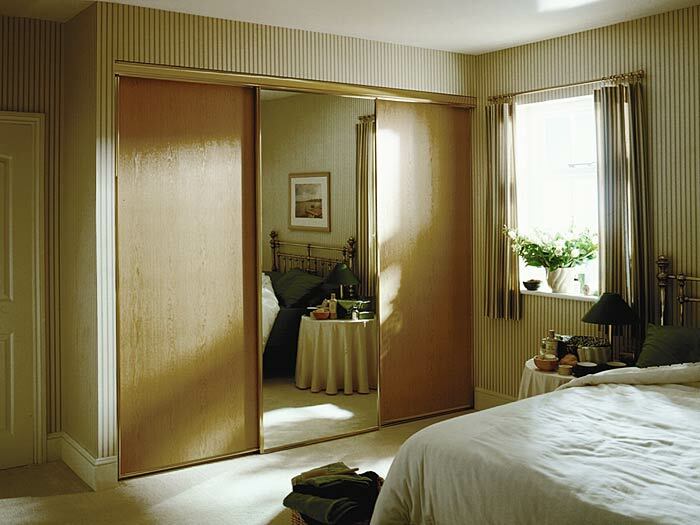 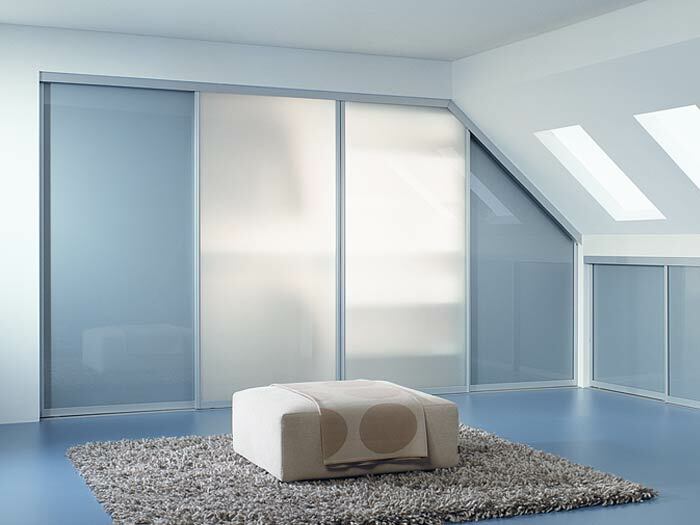 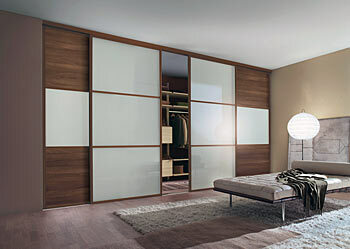 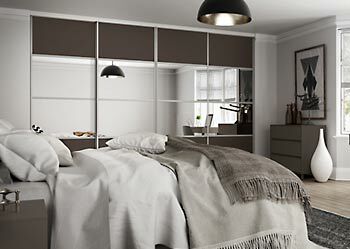 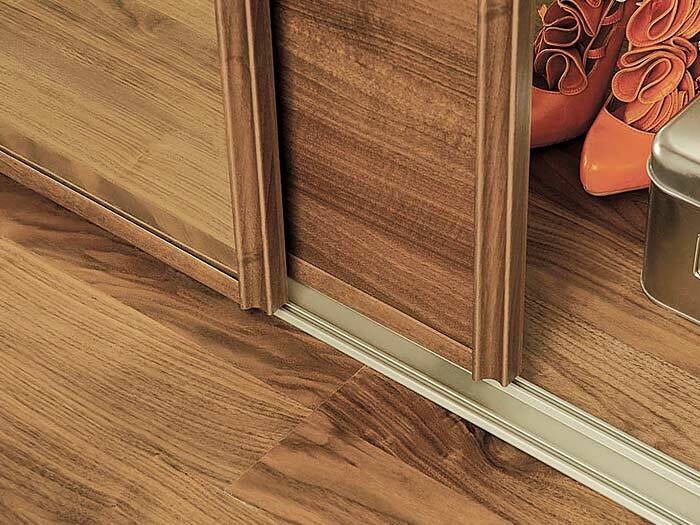 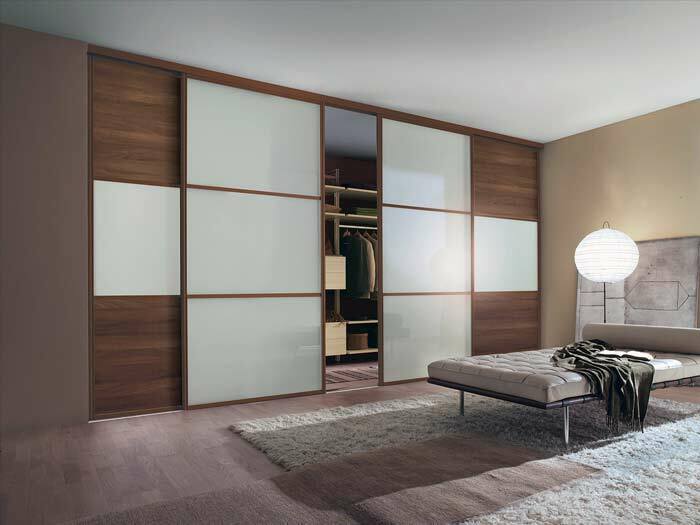 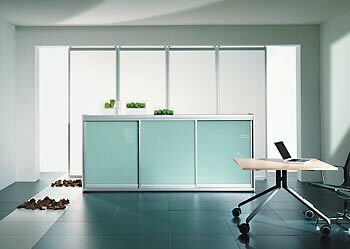 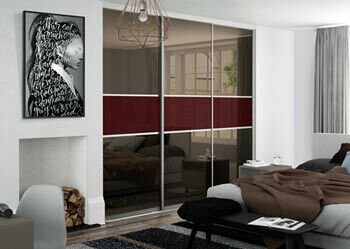 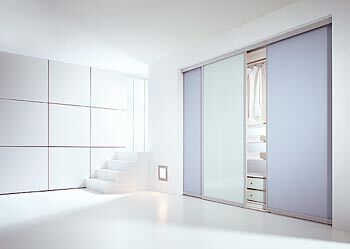 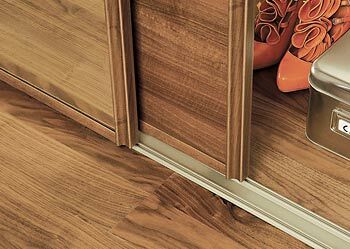 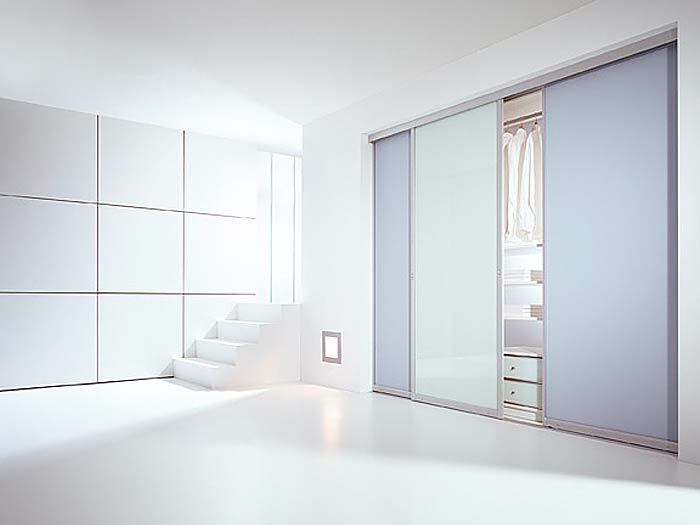 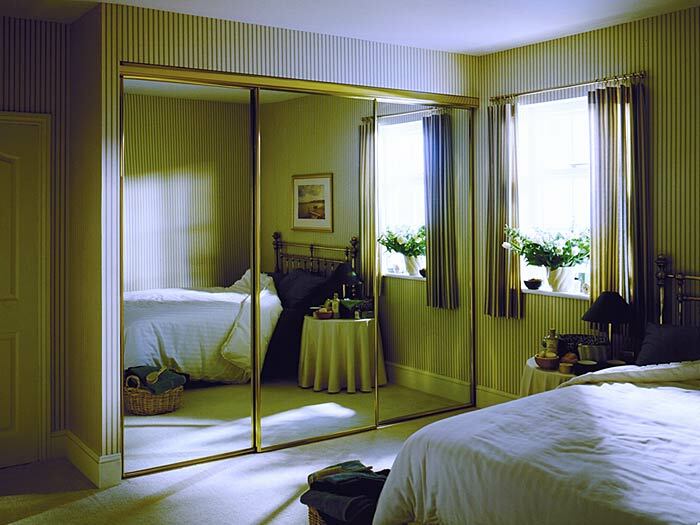 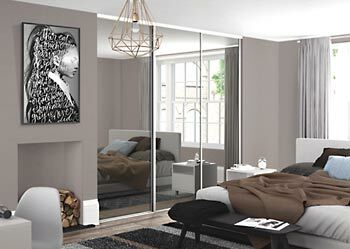 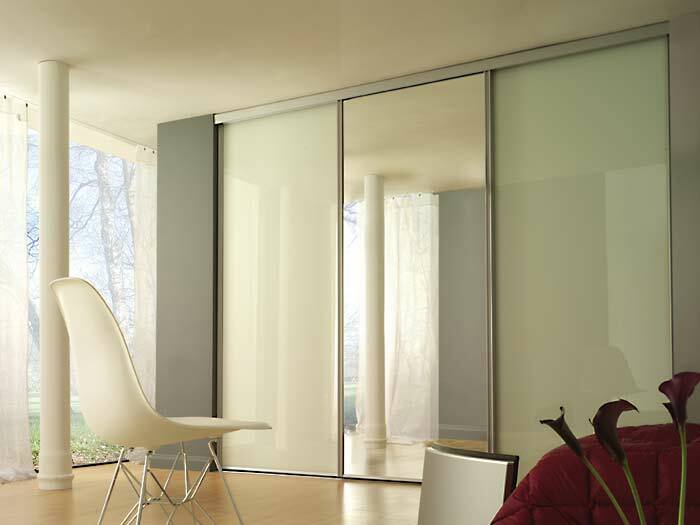 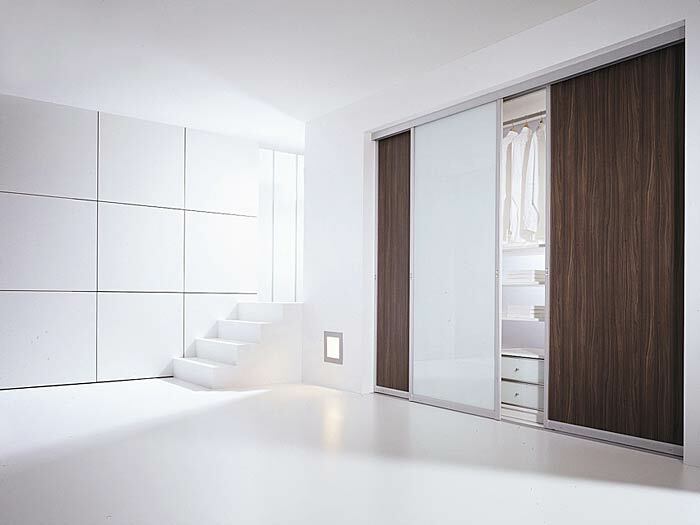 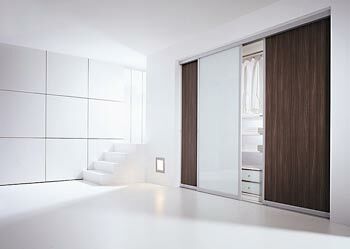 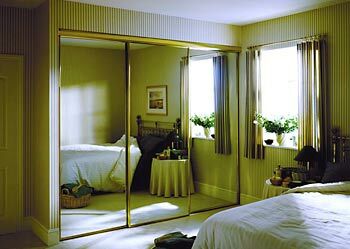 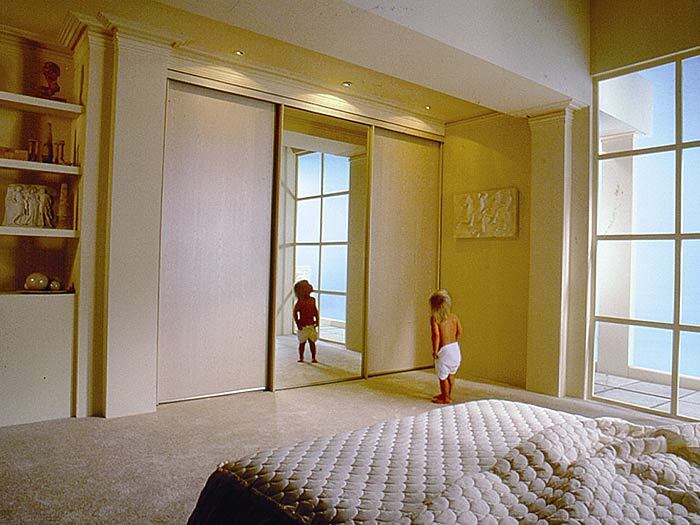 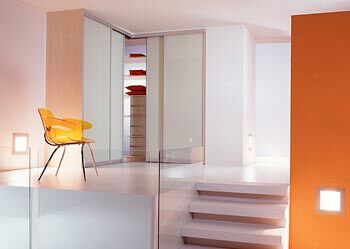 We specialise in bringing stylish & functional sliding door wardrobes to your home. 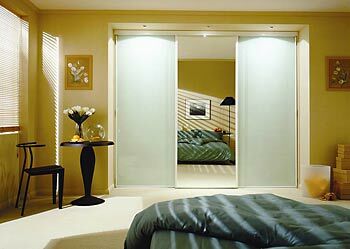 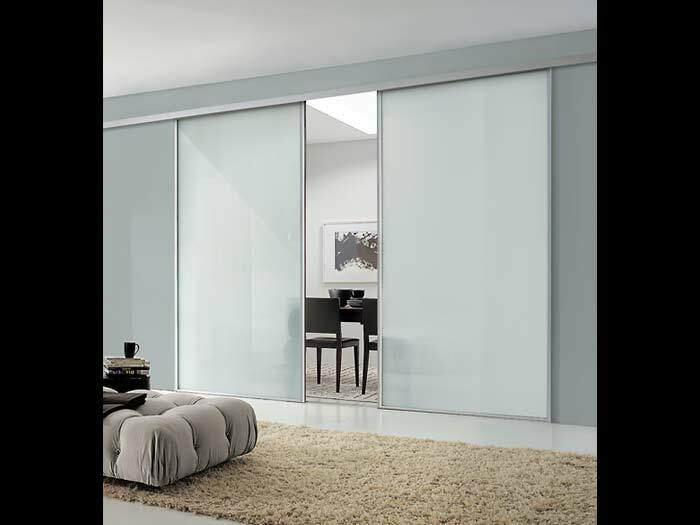 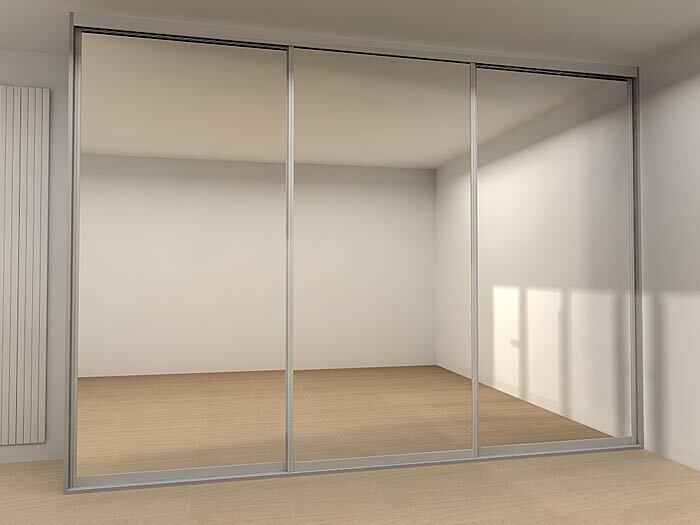 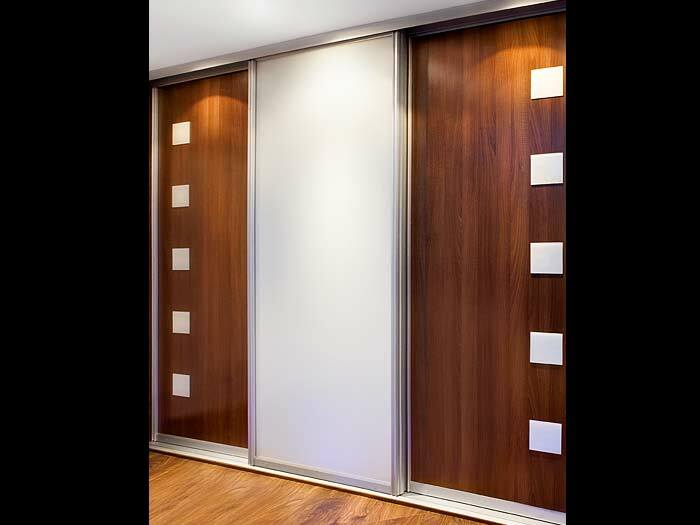 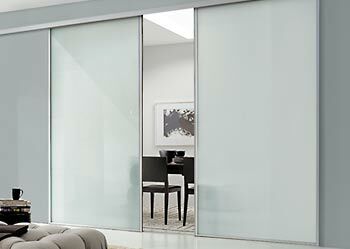 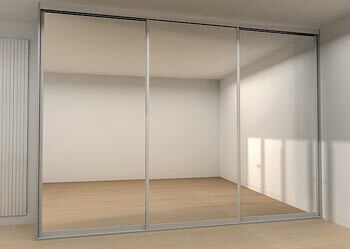 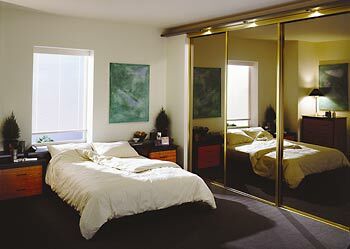 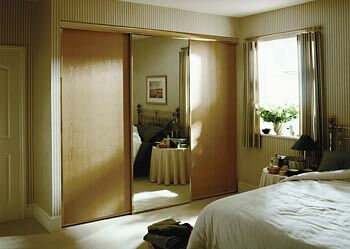 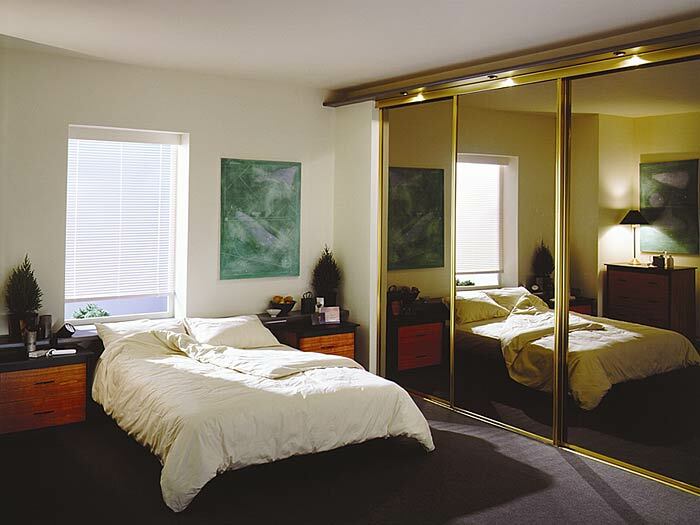 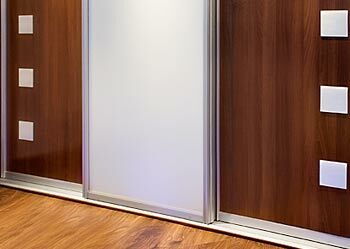 All of our sliding door robes are custom built based on your ideas and our expertise. 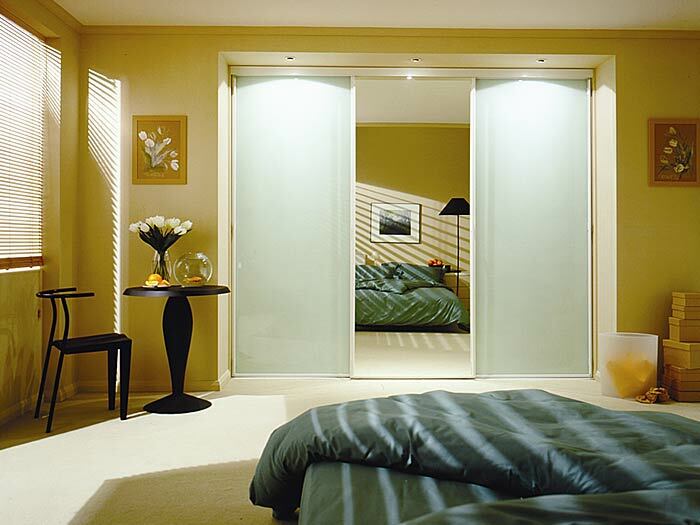 We always put our customers first and guarantee to deliver an outstanding service from your first contact through to consultation, design and installation. 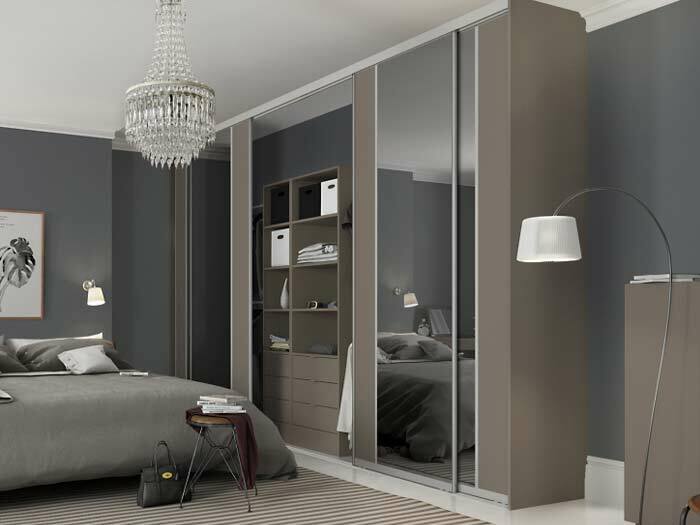 So if you are looking to create the illusion of more space in the room by ensuring continuity of colour throughout we know you’ll be pleased with our finishes. 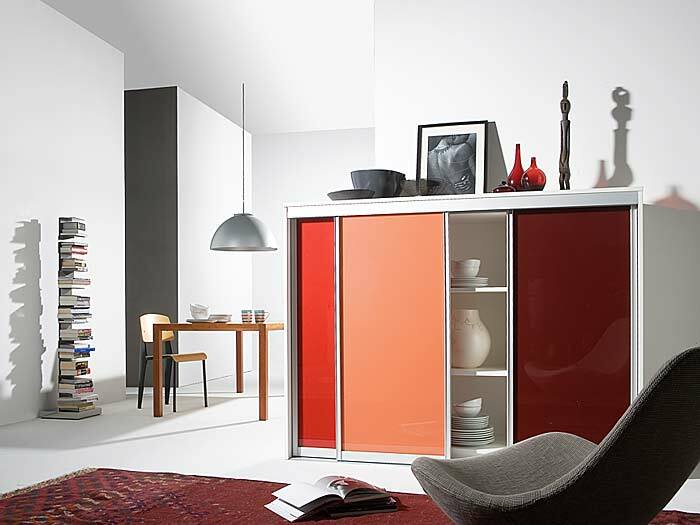 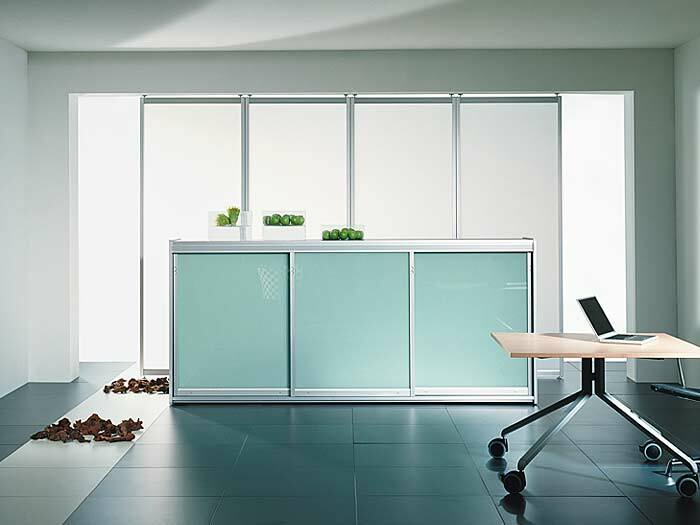 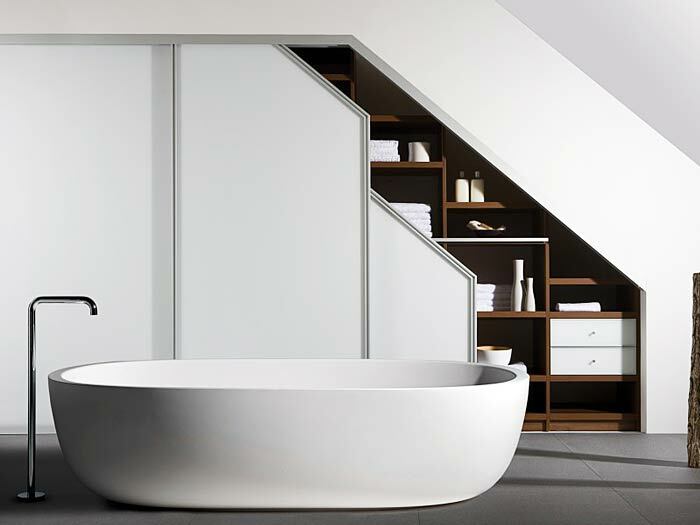 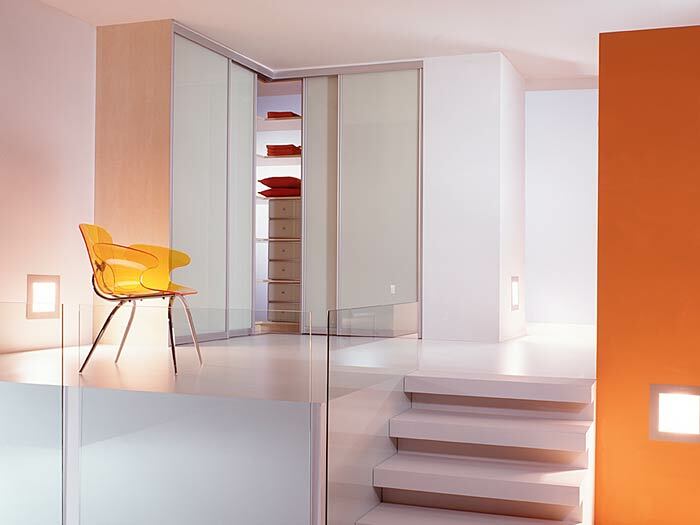 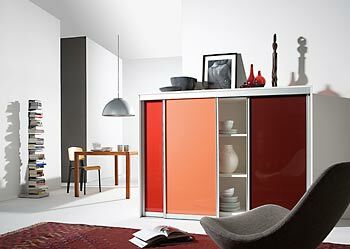 Choose from a selection of coloured glass or mirror finishes or a combination of both..
Robeplan offer a choice of Frame Ranges in a selection of colours i.e. 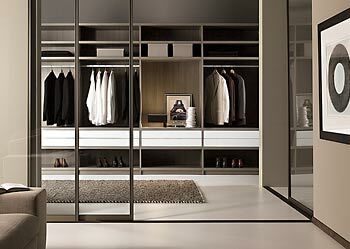 Stone Grey, Cashmere, Silver, White, Walnut and more. 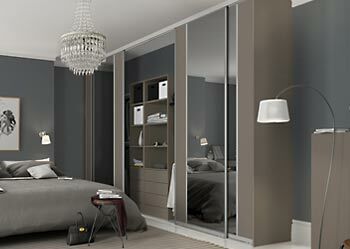 Our bespoke robes are made to measure and designed with your ideas and our expertise. 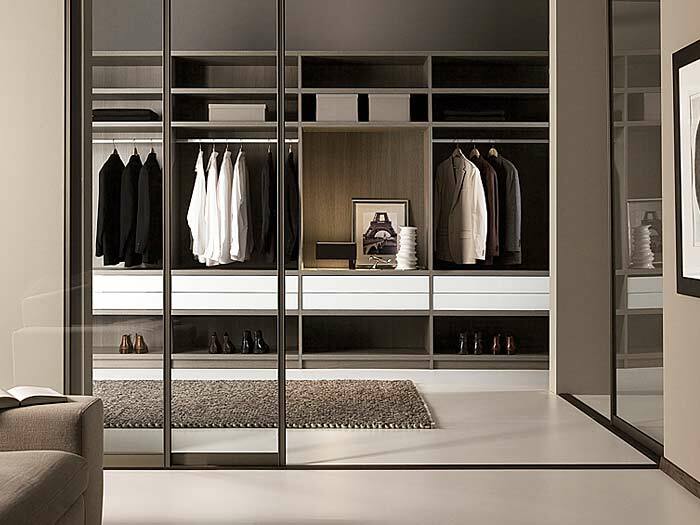 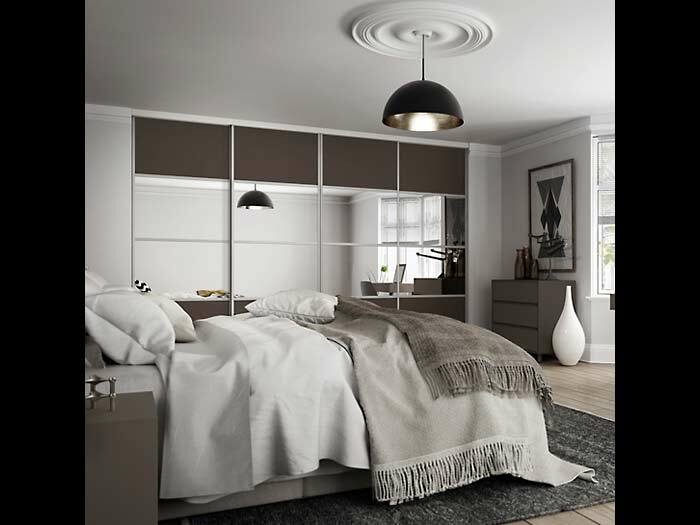 Robeplan offer (as a standard) a full interior with our units whilst still incorporating a myriad of clever and functional storage solutions including double-hanging, extendable trouser rails, shoe drawers, belt and tie racks and much more. 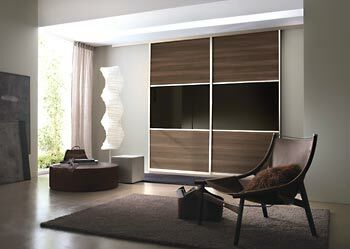 Sliding Gallery Check it out!